DPJC Position Statement President Trump's veto of Senate Joint Resolution 7, the Yemen War Powers Resolution Our position statement in response to President Trump's veto of Senate Joint Resolution 7 (S.J Res 7), the Yemen War Powers Resolution "President... Read more.. Submitted - February 5, 2019 - No U.S. Intervention in Venezuela Undoubtedly, the people of Venezuela have suffered immensely under the repressive rule of President Nicolas Maduro. In the last... Read more.. 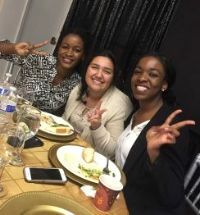 The Mission of the Dallas Peace and Justice Center is to promote a just and peaceful world through education, dialogue, reconciliation, advocacy, and constructive action. Our meeting dates and times vary. & we will add you to our distribution list. ...keeps a finger on the pulse of activists’ concerns, and stands ready to lead or assist in research, education, dialogue and action for peace and justice. As a volunteer-driven organization, the direction of DPJC’s efforts depends on the interests and energy of its constituents. At present, some of DPJC’s active teams and committees include the Middle East Peace Committee, Death Penalty Abolition, Nuclear Free World Committee, Human Rights & Justice Committee, Environmental Justice Committee, Youth Empowerment Committee, and the DPJC Communications Committee. If you have the passion and energy to make a difference for justice and peace in the world, the Dallas Peace & Justice Center can assist you. You'll receive timely e-mails on topics that are important to you and learn how you can get more involved.